Saturday 5/4 – Click to Enlarge for Details. Click here for more information. 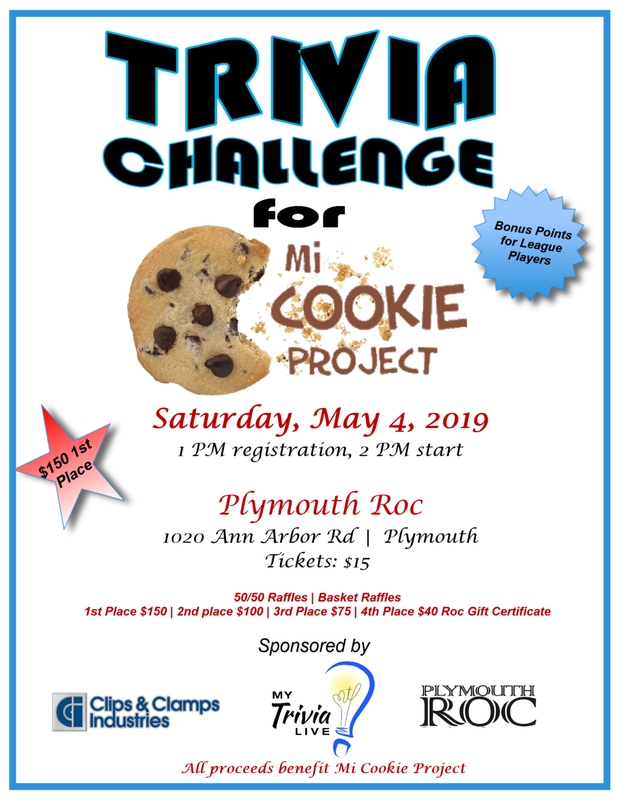 MI Cookie project teaches individuals with developmental disabilities to work while running a bakery in a community setting. Click here for more information. Saturday 5/4 – Click to Enlarge for Details. Click here for more information and to sign up for the event. Plan your next fundraiser with us! Click here and check our Facebook page for up to date alerts when it comes to show closings due to special events or weather…. As you all know, My Trivia Live is a free game to play at all our sponsored venues. And, each venue also provides MTL with the gift certificates for the winning teams. In order for this to continue, we at MTL are asking our teams to support these venues by purchasing goods and services from them, to make it profitable for them to continue to host My Trivia Live for your enjoyment. 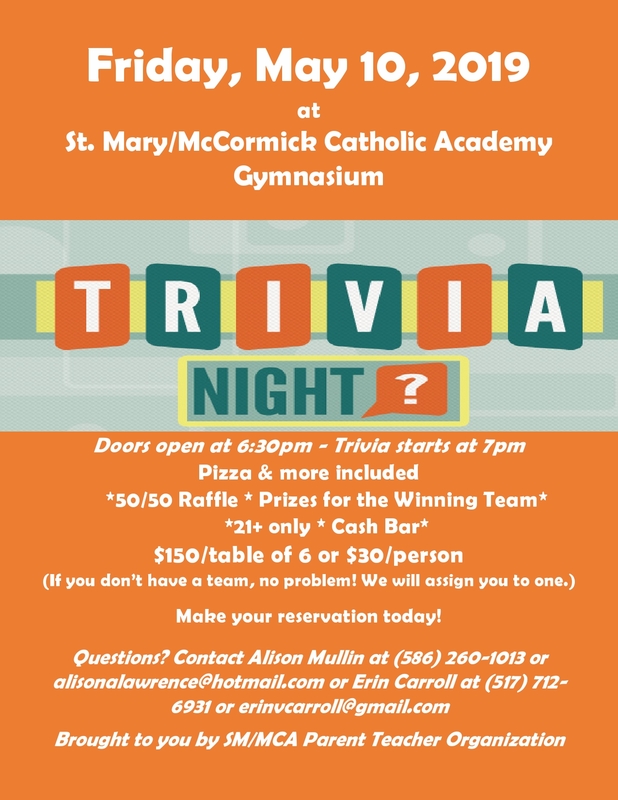 Did you go out and play trivia? But do you have the photos to prove it? Send them to us by emailing leagues (at) mytrivialive.com (or click here) and we’ll post them. Click here to view some photos of people having fun. Do you need extra cash or know someone who does? My Trivia Live is rapidly expanding in Northern Michigan, (Petoskey, Gaylord, Kalkaska areas), Western Michigan (Kalamazoo, Grand Rapids areas) and is looking for people who are all about having fun and getting paid for it. If you know of anyone in these areas that are interested, please have them contact us by clicking here.